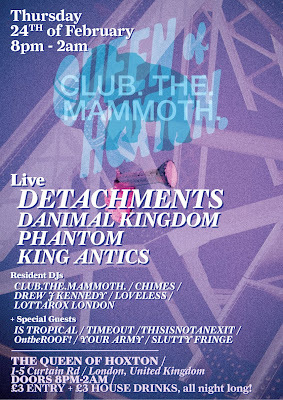 Detachments continue their tearing apart of the synth pop nu-industrial 2011 rulebook with a headline show at The Queen Of Hoxton. I will be playing a number of 7" records before the band take the stage. Beware your ears as we take no prisoners. 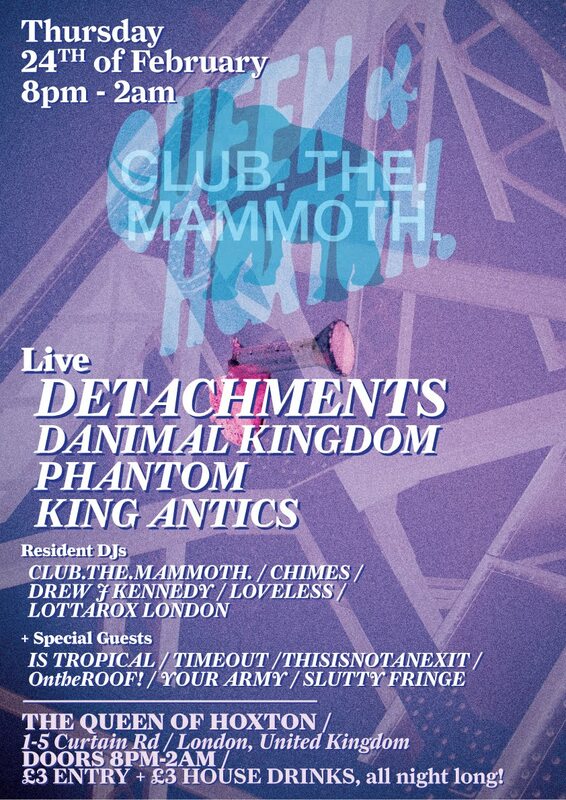 Come and see why Andrew Weatherall, Trevor Jackson, Salem and Tim Goldsworthy all wanted to get involved with Detachments. I've already heard the 2nd album and its the future.